Egypt had the most significant growth in internet users and social media in 2017. This report is providing an overview of the top online stats and trends collected from the most recent releases and annual reports. Let’s start with the top highlights and an infographic which illustrates the year in figures. According to a new research, Egyptians are addicted to social media. More than 14 million of Egyptians are very active on social networks can’t stop posting, chatting and Liking everything in sight. Unsurprisingly the largest age group for Facebook usage is currently 18-24, followed by the users in the age of 25-34. And both sexes are logging on for their social media fix as 64% male users and 36% female users in Egypt sign in. In this context, the report stated that about 64% of users are males, while females represent about 36%, with females being younger than male users on the average. The report added that the proportion of female users who are under the age of 25 represent about 51% of users. 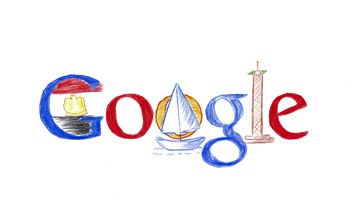 Google announced on 13 December 2017, its annual Year in Search results showcasing the most trending topics Egyptians searched for the year. There are many interesting facts to explore through the lens of Google Search — from Egypt’s qualification to the 2018 World Cup, to the passing of the iconic artist Shadia, this year’s results are reflective of what truly captured the Egyptians attention over the past year. Similar to last year, school examinations topped the most trending searches list along with the electricity bills. This was an important year for football in Egypt, with the World Cup, Al Ahly elections, African league and Mohammed Salah, sports-related queries topping the news events and general searches list. Also, four sports personalities were in the top 10 trending people list, which was topped by Al Ahly Club’s new president Mahmoud Al Khatib. The news events list was mainly dominated by local events such as the Al Wahat Attack. Similarly, the top trending songs list was topped by Cairokee’s and Tarek El Sheikh’s Al Keif, followed by Despacito. According to eMarketing 2017 report, about 92% of Facebook users in Egypt use it on a daily basis, and 60% of users asserted that the highest rates of activity came in “the late evening”. Moreover, 92% of Facebook users use it primarily to connect with friends and family, while acquiring knowledge or getting tips and social networking comes next for about 85% of users. Interaction with friends’ posts comes at the top of Facebook users’ activities on the website, representing 62%. The report findings declared Facebook as one of the most popular marketing tools in Egypt, and that, in turn, ‘likes’ for commercial pages are primarily for the purpose of obtaining discounts, offers, and gifts for about 33% of users. Meanwhile, following news and new content received about the same proportion of users. According to the reports, Facebook continues to grow in the MEA region. 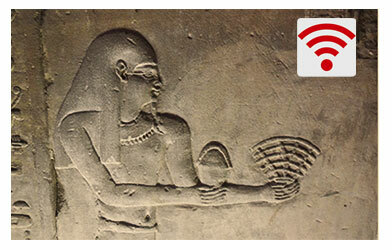 Egypt still represents the highest daily rate for users with over 22 million users a month. Twitter is becoming less popular for Egyptians with Instagram rising. Egyptians with Saudi generated more than 54% of tweets in the Arab region. Football players and media celebrities are among the most popular buzz on Twitter while political news and figures are declining this year. 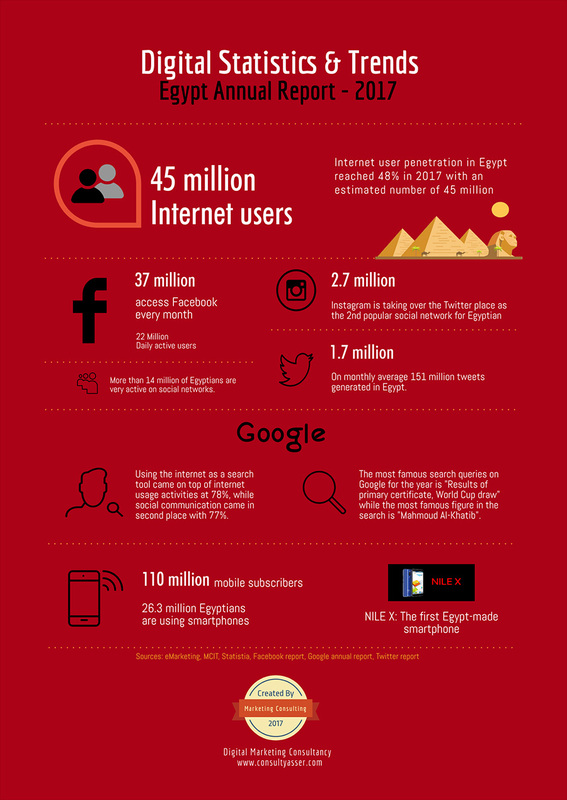 On monthly average 151 million tweets generated in Egypt. 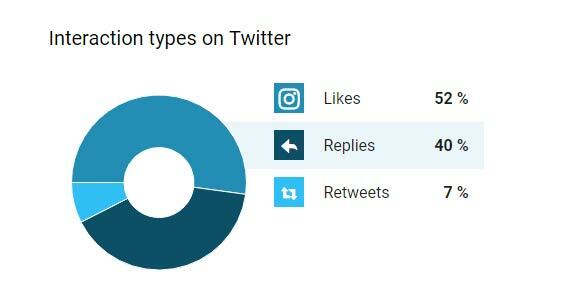 According to the latest report from Twitter. In 2017, the most retweeted tweets in Egypt were released by Egyptian comedian Mohamed Heneidi. During a question-and-answer session last June, a fan asked the actor how many retweets would make him start working on the 2nd episode of the movie “Se’edi fil Jama Al Amreikia”, which was answered by @OfficialHenedy with 100,000 retweets, (Reached more than 110 thousand retweets). The Egyptian comedian Mohamed Heneidi comes with the famous football player Abu Trika as the most popular figures on Twitter during 2017. Their tweets come in the top five tweets of the year. According to eMarketing survey, about 26% of internet users in Egypt like to follow e-advertising while only about 20% trust them. 32% of internet users trust the technology sector’s electronic advertising, while 34% trust the telecommunications sector, 27% trust fashion, 62% trust home appliances, and 25% do not trust e-advertising in the financial sector. The report explained that 10% of internet users pointed out that e-advertisements have never caught their attention. 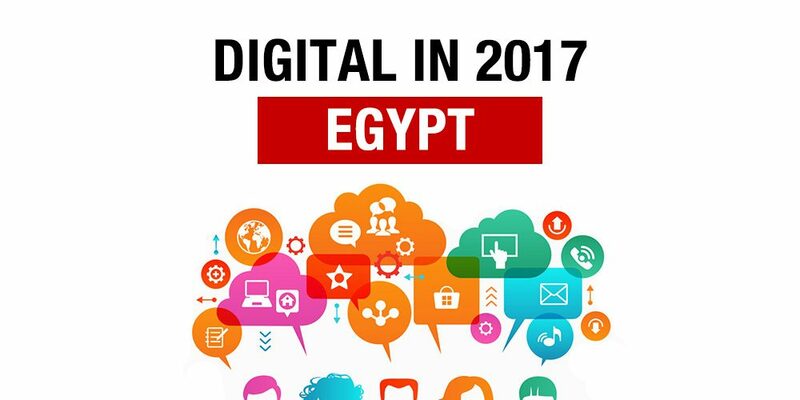 The last year predictions, estimated the digital advertising spend in 2017 to exceed 1 billion Egyptian pounds ($56 million). Facebook and Youtube are getting the highest increase in advertising vs search and display due to the media investment in YouTube advertising while telecommunication, real estate, and small business are focused on Facebook and Instagram. RiseUp Summit 2017 continues to drive attention to the Egyptian Entrepreneurs. The RiseUp platform has become the leading connector between local startups and international networks, resources, and the world’s entrepreneurship ecosystem. For the second year, the RiseUp summit has sent promising local startups and their entrepreneurs to international waters, this time sending 9 to Berlin, Germany to attend Tech Open Air (TOA). The TOA is Europe’s leading interdisciplinary technology festival. This year’s 9 startups were: Kiliim, GoodsMart, VoxEra, Rakna, Instabug, Jereed, Mermaid, Trevx, MoneyFellows. This year’s RiseUp Explore was organized in partnership with enpact and enabled by Deutsche Gesellschaft für Internationale Zusammenarbeit. Flat6Labs, Accelerator Company and the key player in the entrepreneurship ecosystem in Egypt, closed EGP 100 million funds with the support of the Ministry of Investment and International Cooperation. This fund marks a significant growth for Egyptian entrepreneurs and startups that will put Egypt on the global entrepreneurship map. 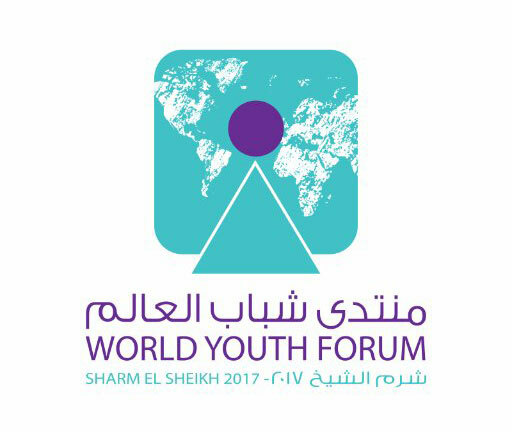 The World Youth Forum (WYF) just kicked off in the town of Sharm El-Sheikh, attracting thousands of Egyptian and foreign youth from around the world. The seven-day gathering will witness the participation of official youth representatives aging over 18 years old, leaders of various youth networks, head of states, media figures and around 250 young Egyptian expats. The forum aims to spread a message of peace, prosperity, harmony, and progress around the world. The forum is built on four pillars and themes: 1) global youth issues, 2) sustainable development, technology, and entrepreneurship, 3) civilizations and culture, 4) creating future leaders. Egypt’s Ministry of Communication and Information Technology has unveiled today the specifications of the first Egypt-made, Nile X, smartphone at Cairo ICT 2017. Manufactured by the Ministry of Communication-affiliated SICO Technology, the smartphone was made with 400 million Egyptian pounds in investment in the company’s factory in Assiut. Egypt has achieved a high ranking in the 2017 Global Cybersecurity Index, coming 14th out of 165 countries and second among the Arab countries. The new report highlights advances in Egypt’s cybersecurity efforts, a full range of cooperation initiatives relating to cybersecurity and a number of bi-lateral and multilateral agreements. The stats and figures are collected from the most recent reports in December 2017. All sources included by the statistics provided. Kindly let me know if you have any updates to add to the report or comments. For digital marketing consulting in Egypt’s market, target segment analysis and market research, contact me to discuss the key findings and opportunities.